Among the great appeals of the Open Championship is the fact that you can play the very same golf courses where the greats of the game have done battle to secure the most sought after prize in golf, The Claret Jug. While the golf courses lucky enough to have hosted the Open Championship are truly magnificent; the simple fact is that there are others that are equally as magical but do not have the required infrastructure to host such an event. The ability to park thousands of cars, traffic endless streams of fans and construct championship tees to stretch the course to over 7,000 yards is a prerequisite when awarding the oldest professional golf tournament to a potential host. 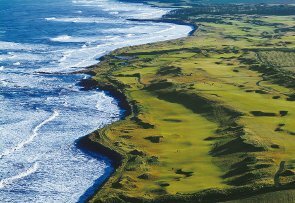 There are plenty of classic links courses that may never host the Open Championship and that is a sad fact as it has nothing to do with the quality of the golf course in question.